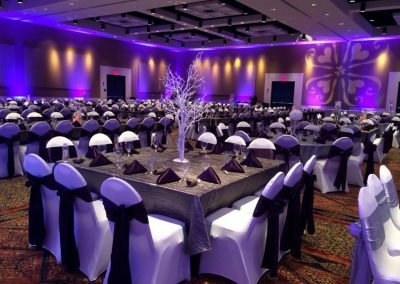 Uplighting will transform your venue from ordinary to extraordinary!!! 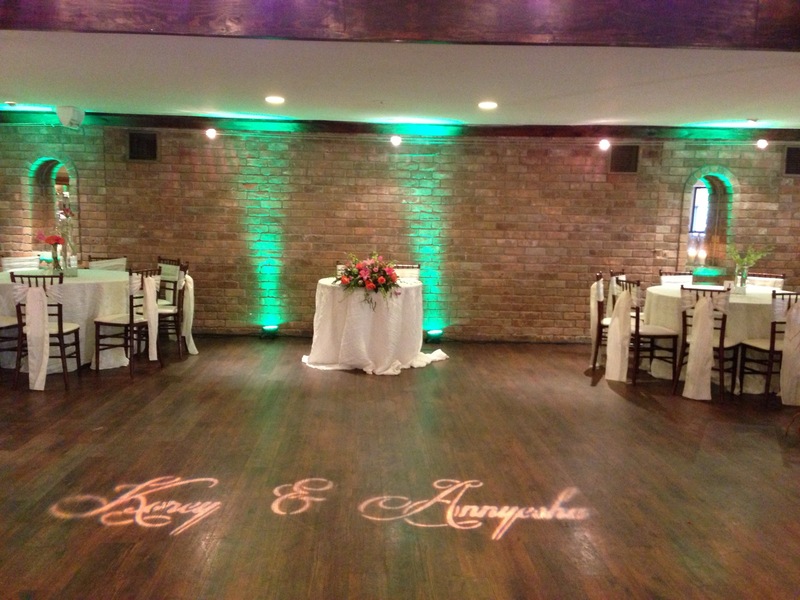 Uplighting your venue is an easy and affordable way to transform your wedding reception. 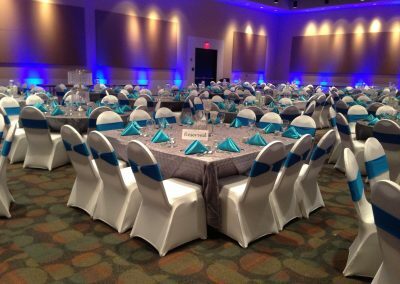 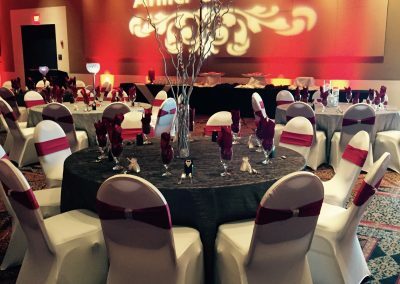 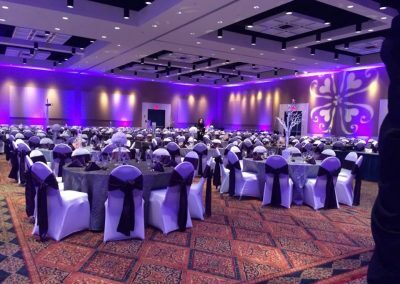 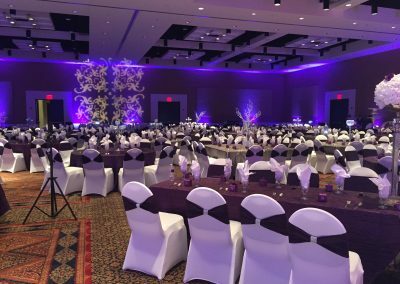 Uplighting will amaze your guests by transforming your venue and adding ambiance. 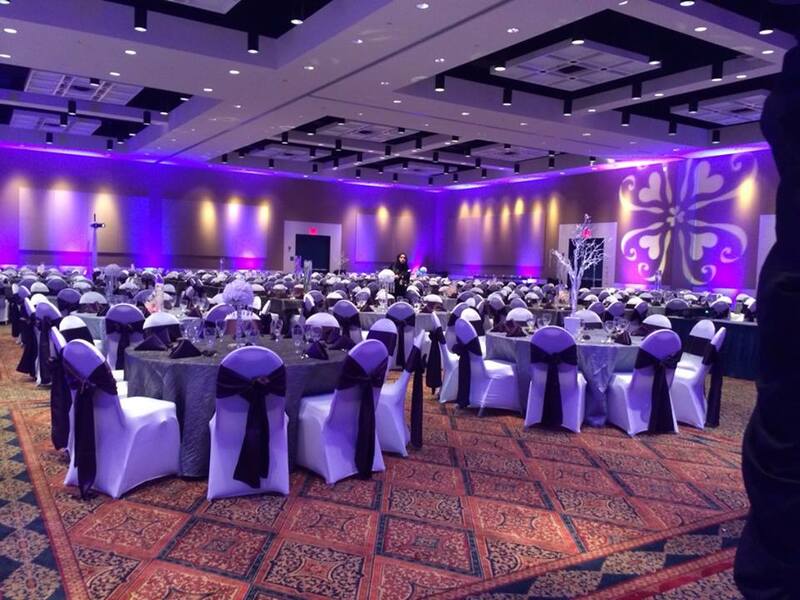 LED uplights are the latest technology in wedding lighting. 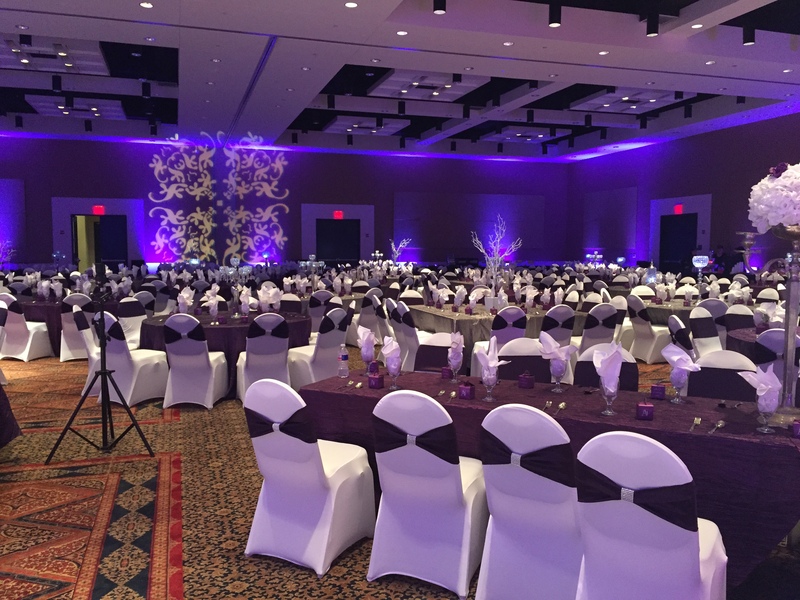 We rent professional-grade Chauvet LED uplights. 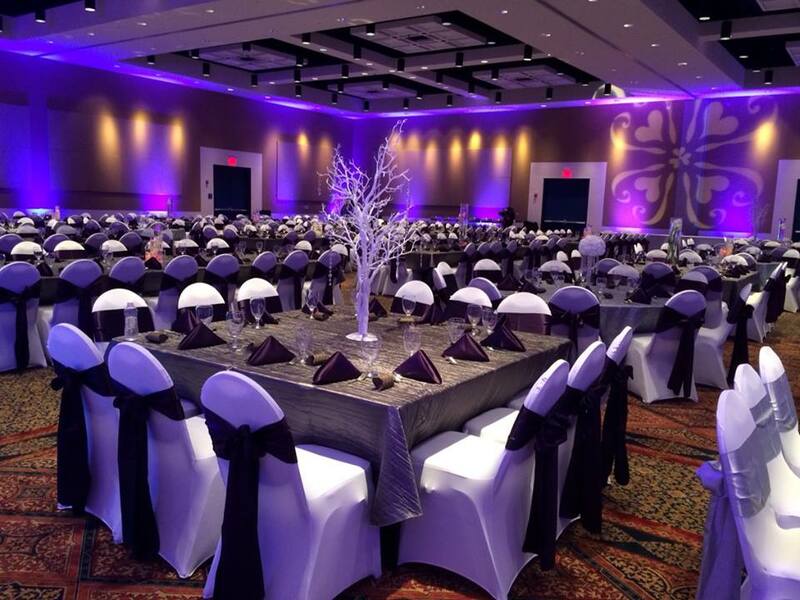 LED uplights are energy efficient and do not get hot. 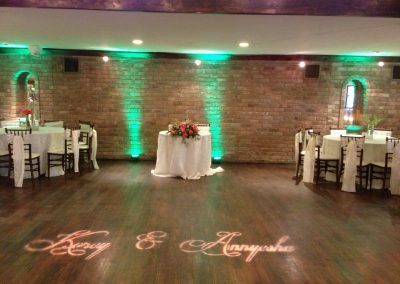 Up lights can be programmed to a variety of colors with the push of a button. 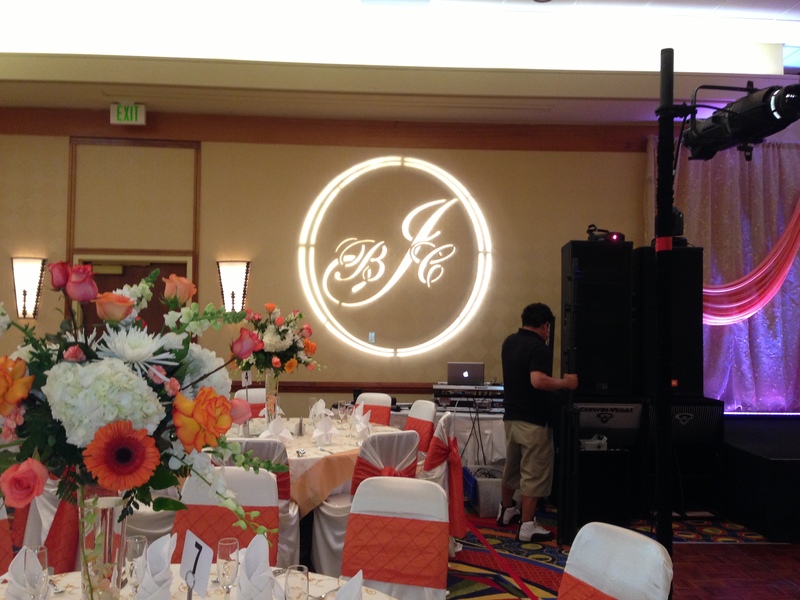 Personalize your event with a custom Gobo/Monogram light! 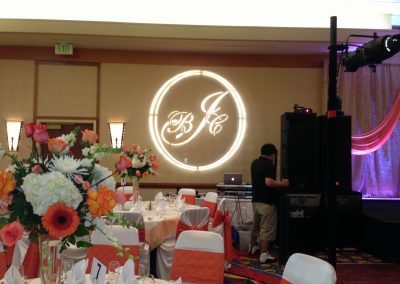 Monogram lighting adds a personalized touch to your wedding or event. 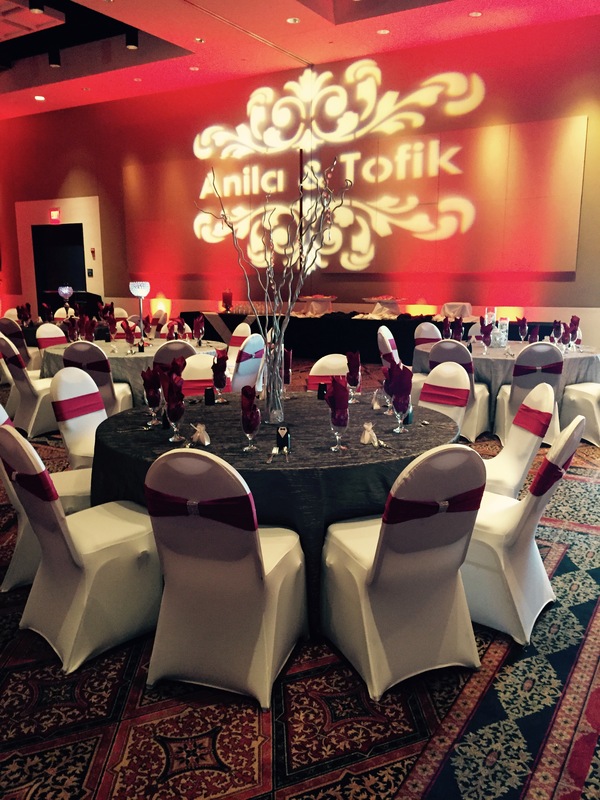 You can do your initials, names and event date N More….